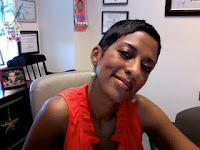 Reflections of a Grady Doctor: Leave it to the professionals. You can hate on me." 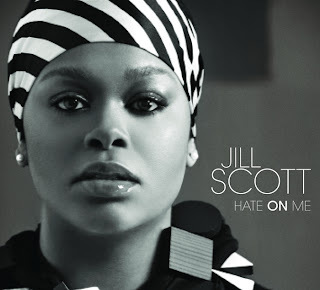 ~ Jill Scott's "Hate on Me"
"Seeing as I'm a fat cow, I don't need to be eating anything." Wait, huh? A fat cow? Wow. That's kinda harsh. Alright, so here's what's on my mind today. . . . Okay, can I please just step up onto my little soapbox for a moment-tito? Ah hem. Don't mind if I do. Now check it. I can assure you that if you have lived on this earth long enough, there is somebody somewhere who has had a negative word or two to say about you. Yes, YOU. They have either done so maliciously or through the ever-elusive backhanded compliment. Sometimes that person is a total stranger and other times it is one of the people nearest and dearest to you. Regardless of all that-- trust me, you've been "hated" on. Perhaps, like my friend did to herself, they have also gone so far as to criticize your eating habits. . . . referring to you as something even worse than a "fat cow." Maybe, just maybe, they called you a "beluga whale" instead. Or maybe even a "hungry, hungry hippo." What if weight isn't your issue? What if it's something like. . . . how you talk or how you walk or how you do whatever it is you do? What if you are too short or too tall or speak with an accent or speak with an impediment or have a mole on your forehead or are gay or are effeminate or tomboyish and seem gay but aren't or are very conservative or are very not conservative or . . .or. . .or. . .sigh. See what I'm saying? There's always something to hate on. I have found that of the worse things that YOU can come up with to hate on yourself, there is always someone somewhere who can do it better. Leave the hating to the professionals. They are much better at it. Someone who is looking to really insult you or cut you to all the way down to the white meat can probably do it much more efficiently than you can. Like, you might look in the mirror and pick yourself apart piece by piece. One tiny shred at a time. How inefficient! See, this is why you need a professional hater to do that for you. 'Cause a professional hater? Chile please. They rip the band aid right off. They say "gastric bypass called and said they missed you last week." See? I'm saying. Why should you even bother insulting yourself? You just have know that someone has already made that their full time gig. And most are willing to work overtime at it. So leave it to them. I know, I know. This sounds so unlike the Pollyanna Grady doctor, right? But honestly? It's really a feel good message. It really is. Because being mean can become habitual. And my point is that there are plenty of miserable people that have made it a habit to do just that--and they don't need your help. So as of today, I declare the rest of this month: "No Hating on Myself Month." If you are prepared to go on this self-hateration diet for the next two weeks and you pledge to leave it to the professionals, make your mark, people! Oh. . .errr. . .or just comment. Heh. Okay but on a serious note--JoLai and I did this last summer and it was amazing to have it brought to our attention how often we insult ourselves. We were floored at how much thought it took to not dog ourselves out--because even when it's done in humor, it's still not cool. And please don't get it confused--not hating on yourself doesn't mean that you aren't self-reflective or self-aware. If you cut people off when they talk and you notice that about yourself, by all means work on it. If you drive through the Chick-fil-A window and have that 1500 calorie shake three days a week, rethink that, too. But calling yourself a "stupid blabbermouth" . . .or rather referring to yourself as a "fat pig?" That's a counterproductive no-no. Ya dig? Now playing on my mental iPod--the "No Hating on Myself Pledge" anthem. . . The one and only Jill Scott singing "Hate on me hater." I am so in. Truly. You are a lifesaver late this night on the west coast. I'm posting my pledge on my own blog with links for the full stuff here. Thank you. Nice idea. I'm willing to try. Can't guarantee it'll work. At least I have one thing on my side, the pledge is written to refer to spoken insults and most of the way I insult myself is via instant message. Maybe I will set up an "insult jar" tomorrow. Kinda like a swear jar, but for this. Woman, oh woman. This is the best idea since the wheel. I don't even see how it is possible for me to take and keep this pledge. I mean- what would my blog be about? What would my LIFE be about? This is truly one of my biggest "issues." Beating myself up is the best exercise I get. This very morning, before I read your amazing post I was bad-thinking myself and whispered, out loud, "shh, shh, shh," because I KNOW it's the wrong thing to do. You knock me out. I dance to your words. I just came over from Elizabeth's blog. While I cannot join in--I'm a committer quitter--I salute you all. Oh, and I'd love to come to Isaiah's third birthday party. I'm a southern girl transplanted to the midwest and I LOVE sweet potato pie!! I just noticed your last photo and am guessing you graduated from Emory. My darling niece is an Emory graduate--ENT. Hm, I think I'm going to try this! Seeing as how I just called myself a "fat cow" last night. This will be the pre-season training for the residency interview season! You are one insightful woman! thanks for the encouragement. Let the professional haters do what they do best!! I know that's right!!! 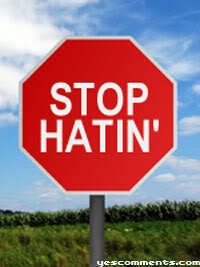 :) And just adding to that, some of the hating exists because the hater herself actually hates herself. So with that said, I allow haters to hate on me and pray that they will ultimately learn to love themselves. Sent over here from Ms. Moon and so glad about it! I'm in. I will try my best to be nice to me. Old habits die hard. I'm Type 1 according to the ennegram personality profile - "voices critical of myself and others constantly chatter in my head" - mostly myself. The impact of a demanding, never satisfied parent is far reaching, even decades down the road. It was a sad epiphany to realize that my inability to please my mother became my inability to please myself. Ironic and pathetic. I'm trying to outgrow this, but gentle reminders and support are always welcome, especially as the post menopausal madness spawns renewed self-loathing. Thanks so much for this post and for this song. I'm already listening to it for the third time since I clicked here from Mary's place. How can you possibly be so inside my head? This is uncanny, even perplexing, and a bit shocking, if not a bit scary (not in a bad way, though)! I was on the phone with my closest girlfriend late last night discussing THIS EXACT topic (among other things)! You are a gift and a treasure. Thank you for the wisdom, the light, the inspiration - on so many fronts. P.S. I needed this, really really needed this beautiful message you have posted, more than I can express here! Wonderful idea! I'm so in too! 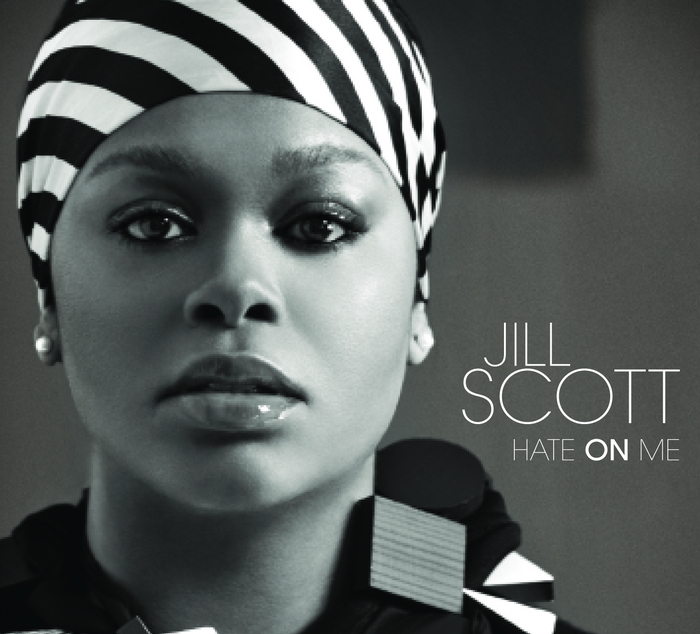 and I adore Jill Scott! This is so freaking amazingly wonderful. And I am so in! I love you. You are so right. The whole post made me smile, and it's a morning. I NEVER smile in the morning. BTW, I have had two lapses so far. One of them was called out by a med student yesterday who reads my blog! Dang! What a FABULOUS post!!!! I was sent here by my pal, Angella Lister, (37 Paddington) who raved about you - and rightfully so!! I'm happy to be your newest "Follower". As my pastor says "Now that's some real talk!" Amen and I am with you fo sho!! Okay I'm waaaaaay late but better late than never. I'm down with it. I T-totally need to do this. I found this a month late, but I'd like to try too. Thank you for this post, I really needed this on a day when my inner enemy came out to torment me and for all the times when I'm the first one to hate on all of my flaws. Gosh, it would be such a huge weight lifted off of us if we could all just say, "So what?" So what if I blanked when an attending asked me a simple question in front of lots of people, and so what if I ate one too many cookies I probably shouldn't have consumed? I'm not perfect, but I'm enough. Thank you for rallying the troops with this inspiring pledge! I'm going to do this. Time for a life reboot!